Home > Printable Coupons > Sweet Treat Coupons – Save on Pies, Ice Cream & More! 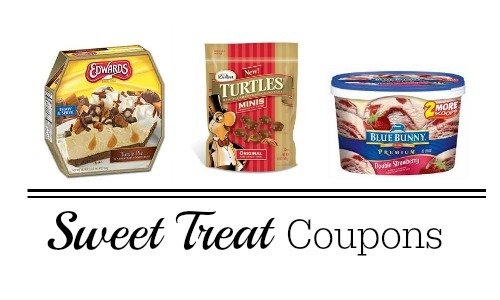 Sweet Treat Coupons – Save on Pies, Ice Cream & More! For anyone that is eating Paleo or Whole 30 close your browser now… for everyone else that likes a sweet treat every now and then, this list is for you! There are a number of sweet treat coupons out right now to save on all sorts of desserts. While I’m not going to say that any of these are healthy or good for you, I will say that any diet I’ve ever done that has excluded treats entirely has not worked for me. Ice cream is good for your soul sometimes.